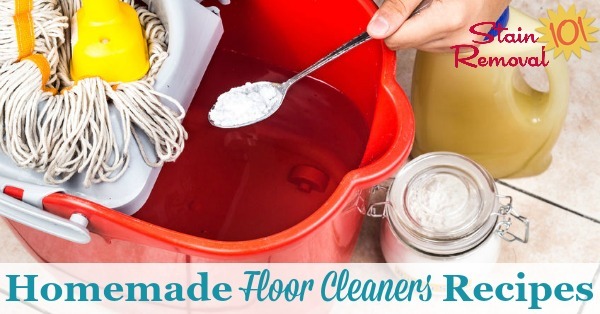 Here is a round up of homemade floor cleaners recipes for various types of flooring. 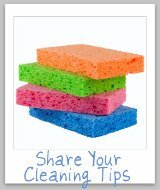 This is your chance to share your knowledge if you have a great recipe for cleaning your floor, or get some tips of your own to make sure you get the best results possible. Everyone has floors, and they do need to be cleaned routinely to keep them looking their best. But you may not want to spend money on a commercial floor cleaning product, for various reasons from saving money, environmental concerns, or just sheer necessity to get the job done now, with readily available materials from home. Whatever your reason, if you make your own floor cleaner share the recipe with us here, so we can all learn what recipes really work. Make sure you say what type of floor you use this recipe on, because there are lots of types out there. The best recipes will be featured on this site! 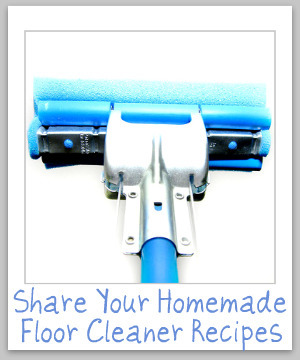 Do You Have Recipes For Homemade Floor Cleaners To Share? 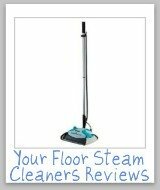 There are lots of recipes for homemade floor cleaners floating around out there, especially here on the Internet. Have you used a recipe that worked well for you? If so, please share the recipe and instructions with us here. 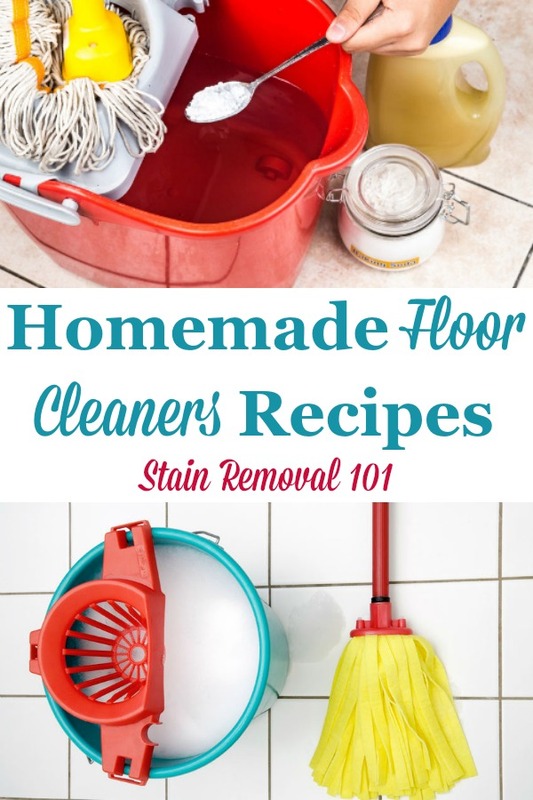 In addition, if you have tried to make your own floor cleaner and the recipe you used didn't work as well as you would like it, you can also tell us about that, so we can steer clear of these recipes. 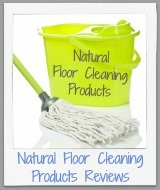 Click the links below to see recipes for homemade floor cleaners that have already been submitted by others.